Ideas discussed over conference calls are important. Ideas like how to grow your business, streamline operations and boost sales. Collaboration tools like audio - conference phones, facilitate communication of ingenious ideas, ensuring your teams are on the same page keeping you in tough with customers. 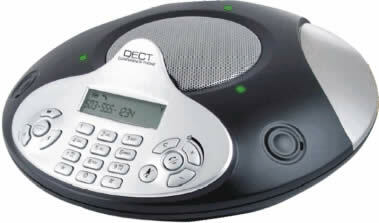 The CD wireless audio -conference phone brings the 22nd century into your office. This conference phones moves as fast as your business, being accessible where and when you need it. Hold conferences at the cubicle, CAD room, machine shop, factory floor, warehouse, etc.